Our story is very simple. We have lived in Knobsville for 40 years and have really great caring and sharing neighbors. We all enjoy helping one another and showing kindness. Our quilt designs are primitive in colors. 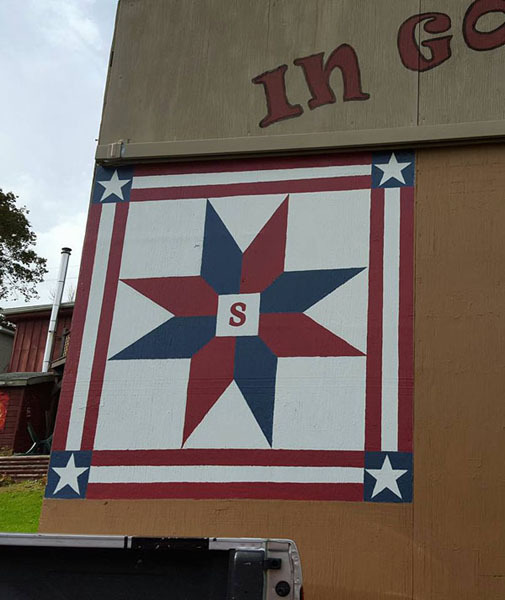 The Star facing RT522 is with a “S” in the center for our family, the Swope’s. The Bell is for history of this great country and the eagle is for “America” her bird. It’s been a lot of fun doing all three and in the next few months we will be adding another. We wanted to give all our neighbors something to look at and enjoy with us.